When I came to visit you recently I was afraid. Of seeing you changed and in pain. You opened the door like the perfect host and pulled back in your wheelchair like you were merely revealing how you’d decorated the hall (in Stanna Stairlift chic). I felt instantly comfortable. Having both your legs amputated after years of shocking diabetes had taken nothing from you that I could see, and I felt no need to make you feel better but to just spend time with you. I sat beside you as you shifted about, at times leaning forward and placing your hands on the arms of a chair in front like a podium. Few men could make their discomforted adjustments look like they were about to give a great speech. Your cigar smoke wafted like an exotic cake being baked and we talked, and I learned some things about you. I had always known you were an exceptionally clever man, but I didn’t know you had, scattered in your garage, the boxed-up parts of an economic thesis once branded “dangerous”. I had always known your dry wit crackled like an open fire in any room you graced, but I did not know that you wrote comedy, or that Morecambe and Wise once said if they ever found themselves out of contract with Eddie Braben they would come to you. I had always known you were a religious man, but I did not know that instead of excluding myself from your scholarly discourse because I do not believe in God, I should have been fathoming life with you. I had always known you have a voice with a sibilant whisper like two wise owls conspiring over something brilliant, but I never knew you had so much to say, so profoundly, in so short a time on a sofa. You are a remarkable man, Uncle Joe. When I left you, I got home and felt blue. Not pity because you’d lost your legs (you did not need it), but a more selfish thing… All that time when I was in agony after losing Dad, when I physically yearned for a cuddle, for guidance, I could have been sat beside you. You were there all along, the perfect source of the intellectual, spiritual, and physical comfort that I crave from older men because my wonderful, difficult Dad set the bar high and taught me to seek the best things. You, the best of the best, were right there and I was too busy and silly to see it. Perhaps in suffering I was honouring him. Perhaps I had to do it alone. That night, without any conscious prompting I went online and bought myself some nostalgic Doctor Martens, the irony of buying sturdy boots after an evening in the presence of a double-amputee lost to me til the morning at least. Those boots gave me the most rancid blisters of my life, and resulted in me elastoplasting bra pads to my heels to beat the blasted things into submission. But even the blisters were a gift. Before I left, I asked you what prayer meant to you. You told me it was any reflection, any thought which reached beyond yourself, the smallest gratitude for a flower, the most desperate cry for help. It could be silent and to no one. You made me want to pray, and so now I pray for you. You are back in Basildon hospital. After some shocking mistakes worthy of serious investigation, you are now in with a punctured organ, the burns on your thighs from clumsy laser work now faded, your shock at being ignored while crying out that you could ‘feel it’, passed. You are said to be ‘doing very well’. Of course you are. You are strong. I don’t know when you, or anyone, will go. I hope it is years from now. But when you do go I suspect it will feel to you quite natural, like you are just going into the next room to greet an old friend. 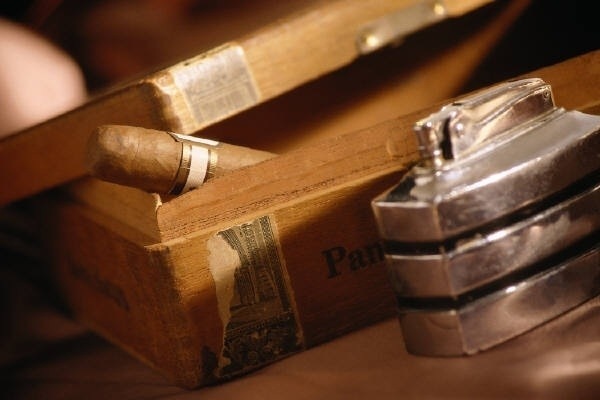 I have not wrangled with nor found faith for myself, perhaps I never will, but I have hope (which is kinder than faith) that your god is waiting there for you – knower of all your thoughts, writer of all your stories, with a box of good cigars. And you, being wise, will not be surprised – but merely smile. And settle in, with your legs returned to you, for a ruddy long chat. Your letter to Uncle Joe is beautiful and very moving. Thank you for sharing it.